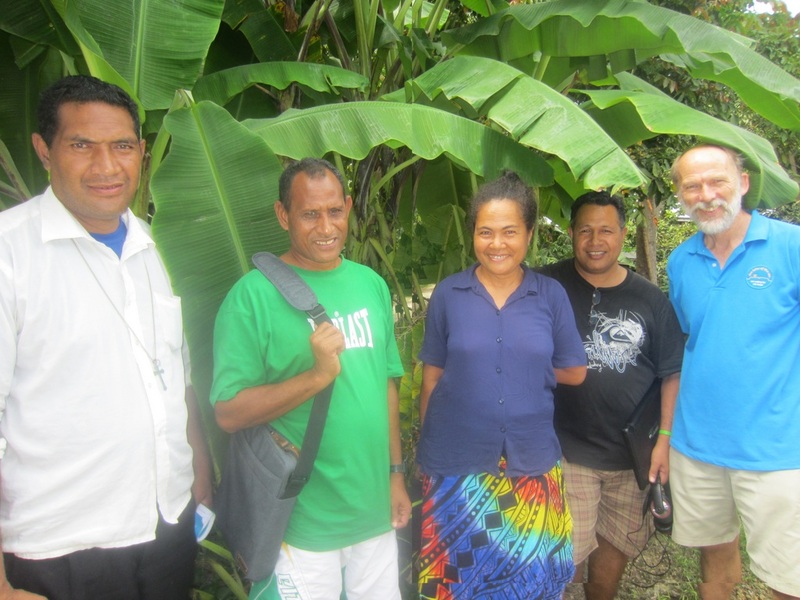 (12 May 2015) Last Friday, three people from the Isles of the Sea team completed the first semester of their Certificate in Biblical Studies study program: Ribeka Tago, Father Walter Tamasia and Edmond Teppuri. This study program is offered by the Islands Bible School in the Solomon Islands and organised by Dr Alpheaus Zobule of the Islands Bible Ministries Institute. As training of translation advisors has been one of the biggest challenges here in the Pacific, we are overjoyed that this opportunity now exists in the Solomon Islands. Thirty-three students participated in this course. Our Isles of the Sea students expressed great satisfaction with this training. It has given them a deeper understanding of the Bible text. Translation was a daily part of the study program, so the course was very relevant for the work they are doing: translating the Bible in their own language, or helping others translating the Bible. Later this year, the students will continue with the next semester.